"Uh oh, I'm late!" Sound familiar? Even though you have zero time, you can still pull yourself together with three simple steps and be out the door in the nick of time. Normally I would suggest giving your face a quick rinse, but today you just don't have the time. Hopefully you don't have any of yesterdays makeup left over to worry about, and can just go straight to applying step one. Step 1: Apply a tinted moisturizer that contains an SPF. It's double duty in one product and can get you on the move faster. I have been devoted to Laura Mercier Illuminating Tinted Moisturizer with SPF 20 for some time now. Set this for the day with a lightweight translucent powder. 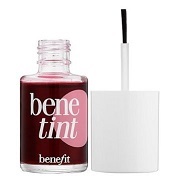 Step 2: Add some color using a 2-in-1 product such as Benefits' BeneTint lip and cheek stain. 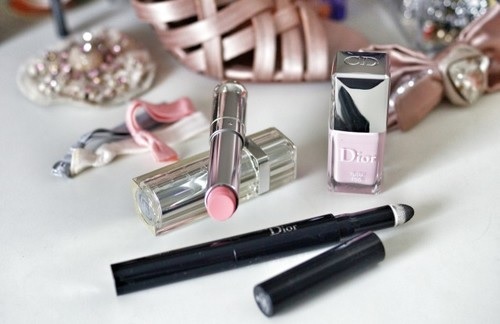 A quick dab of this on your cheeks and lips creates a beautiful natural flush with a pop of color. Step 3: Open your eyes. Dab some concealer to the lower eye area and gently blend outward towards your temple. If your eyes are feeling a bit puffy, don't bring the concealer all the way to your lower lash line, this has the tendency to accentuate puffiness. Finish with 2 swipes of your favorite mascara... and you are out the door! Recently featured in Shape, Celebrity Makeup Artist Tara Loren is a Hollywood make-up darling with a clean, fresh, natural approach to beauty, an energetic personality, and an A-List clientele (Zooey Deschannel, Amy Phoehler, Winona Ryder, Ari Graynor, Will Ferrell, Seth Rogen, actors on HBO’s hit True Blood and AMC’s The Killing, and major commercial clients including BMW, Trident, Toyota, One-a-Day Vitamin, and Old Spice, among many others). Check out her website at taraloren.com!